​﻿﻿Enquire on the hall availability and potential dates. 9:30am to 5:30pm Monday to Saturday. ​Agree terms and date(s) for provisional booking. To finalise an official booking please fill in online Booking Form and submit via button below form. Submit deposit via cheque, BACS or delivered by hand. Please be familiar and abide by our Terms & Conditions of use. 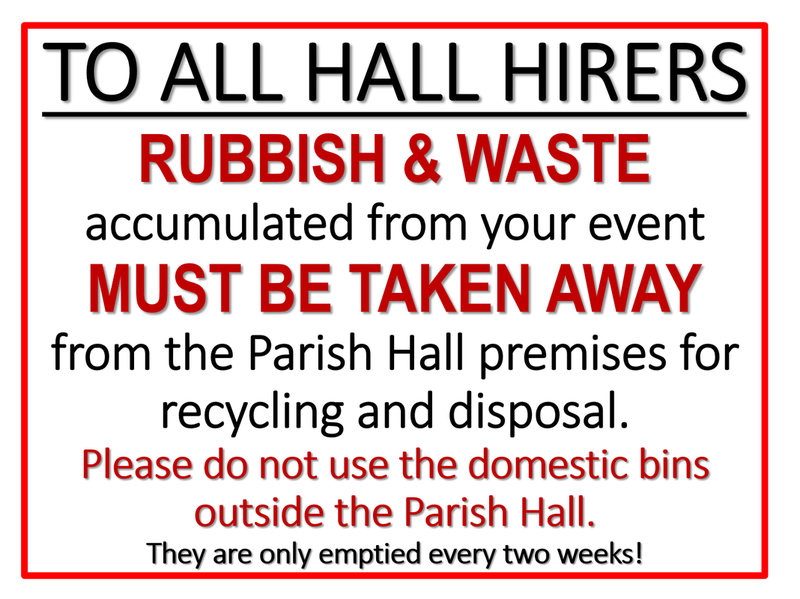 ​​PLEASE NOTE - to enter the Parish Hall door there is an electronic push button locking system. The lock will only allow you to enter the premises during the hours you booked for hire and no other.